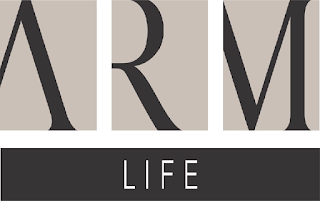 Ongoing Recruitment at ARM Life Plc – armcareers.com. The Position Holder is responsible for contributing to the formulation of investment strategies, product development and process improvement initiatives; maintain coverage of assigned research responsibilities; ensuring efficient trade execution, portfolio administration and transaction processing; supporting Junior Portfolio Managers, and maintaining secondary responsibility for asset portfolio. Trade Execution: Trade execution, including compilation and dissemination of approved portfolio trade orders to counterparties. The Position Holder is also responsible for ensuring efficient and accurate posting of portfolio and transaction data. Investment Strategy: Active contribution to the development and implementation of strategies to improve the portfolio management function. The Position Holder is also responsible for the implementation of agreed investment strategies and action plans, and ensuring adherence to investment mandates and client profiles. Client Relationship Management: Preparation of period-end portfolio review reports for clients as requested by PPM. Reports and Presentations: Preparation of strategy reports and presentations on quarterly, half-yearly and annual basis, or as required. The Position Holder is also responsible for actively participating in the preparation and delivery of client presentations when necessary. Research: Responsible for preparing research articles, notes and reports, as well as developing and improving research tools. Minimum of 7 – 10 years of work experience in similar role. Professional certification in finance and/or accounting from a recognized professional body (e.g. CFA, CGMA, ACCA, ICAN etc. Applicants should not be less than 30 years of age and must reside in Lagos. To market an insurance products such as education investment, personal and group savings, mortgage, memorial, and retirement saving savings plan to the needy. Each successful candidate will be entitled to double income with less working hours. Develop annual audit plan for the subsidiaries and submit to the Audit, Risk and Compliance Committee for review and approval. Execute country audits to assess controls, operational efficiencies and compliance with selected policies, procedures and regulations. Resolve audit problems that occur and develop modifications to coverage and schedule. Perform special analyses and reviews, including compliance, instances of alleged fraud and unethical misconduct. Review and report on the accuracy, timeliness and relevance of the financial and other information that is provided for Board and Management. Refer major audit issues to Head of Audit & Risk for resolution. Research and keep abreast of country legislative issues, new audit regulations/trends and audit methodology. Discuss updates of new regulations with Head of Audit & Risk and relevant country departments. Conduct periodic training workshops for in-country staff to promote awareness of governance, risk management, and internal controls. Ensure work papers are adequately documented and audit evidence is sufficient. Prepare accurate audit reports across country offices for the Audit, Risk and Compliance Committee. Elicit information from knowledgeable internal/external sources about areas and functions to determine appropriate audit direction/methodology for the business units within the country office. Assist external auditors as appropriate. Coordinating country office’s response to audit findings and recommendations. Develop and implement fraud and unethical behaviour prevention programs driven by risk based support. Sets milestones and timeframes to achieve objectives and operational requirements; determines priorities and allocates responsibilities and manages workflow; establishes measures and monitoring systems; putting (joint) action plans in place to address areas of non-compliance; anticipates hurdles and has contingency plans to get around them. Ability to exercise professional scepticism. French speaking or willing to learn French within the first 6 months of employment. Responsible for driving ARM Life’s Institutional Sales (Group Life Assurance Policy’s) and develop relationships with Insurance Brokers, Small and Middle-Sized Organizations. Acquire new Group Life Business through Brokers / Direct. Identify and acquire new accounts in Public and Private Sector. Manage partnerships with key stakeholders and leverage opportunities for the organization. To up-sell and cross – sell the group products and services with specific focus on business elements to existing and new members; manage sales pipelines and ensure that sales targets are adhered to and met by. Closely liaise with Technical Team to provide timely and competitive quotes, as well as prompt claims settlement. Insurance Industry experience is an added advantage. We cherish your opinion and we look forward to it. Hence, if you need us to feed you with more updated information at the right time about ARM Life Plc Recruitment 2019, kindly provide us your phone number and email Address in the comment box below.